I was born and raised on the Northside of Jacksonville and have always called this community home. I graduated from First Coast High School, attended FSCJ, and finished up my education by earning my Bachelor of Science degree from the University of Phoenix. This community is where I send my children to school, where I connect with my neighbors- North Jacksonville is where we have roots. Family is a huge part of my life. I have a wonderful husband and four amazing kids who bring me such joy! I was a stay at home mom for 13 years, and loved every bit of it. When I decided to go back into the workforce, I wanted to do something that would allow me to continue being an involved parent, but still be able to have a successful career. 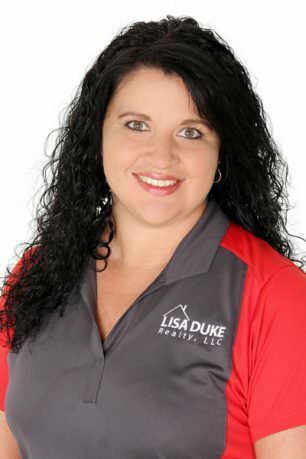 Becoming a real estate agent has enabled me to do just that, and specifically, the Lisa Duke Realty team has really allowed me to work in my community, while not missing out on my children as they grow. I love the diversity of this career field. Everyday is different and challenging and pushes me to become a better person and a better agent. I am committed to serving each person I encounter to the fullest. I am eager to help people find that perfect home, that community that will be the best for them. Having spent my life here, I am fortunate enough to watch Jacksonville grow and thrive, while still maintaining its river city roots, and it is a privilege to be a part of that continued growth! I cannot wait to meet you and help you find just the home for you!